Where the Pyrenees border the Mediterranean Sea, the adventure begins! 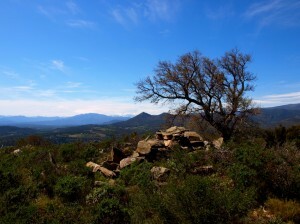 Our hiking area is situated in a privileged landscape: North-east of the Spanish-Catalonian province of Girona. 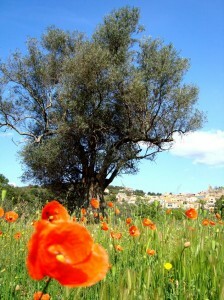 30% of the province of Girona is protected. Here, just behind the southern French border is one of the most diverse natural areas close by, the High Emporda, the old Empordà . At the foot of the Pyrenees is the “Serra de l’ Albera” nature park with its highest mountain, the “Puig Neulos” (1.250m). From here you have a wonderful panorama of the French and Spanish coasts, the Pyrenees, and the valleys of the Empordà and Roussillon. The nature park “Cap de Creus” is located on the easternmost point of the Iberian Peninsula. Here you find coves and beaches and a unique, by the north wind “la Tramuntana” embossed vegetation. The Cap de Creus is a jewel along the entire Spanish coast. In addition to a variety of marine birds, seals have been located in hidden coves. Dolphins and the occasional whales pass by here. The world-famous surrealist Salvador Dalí found this area to be a bubbling source of inspiration. In the marshes of the Empordà (Aigüamolls nature park), we again find a very different flora and fauna. Countless, sometimes even rare, birds have settled here. Storks and flamingos live a contemplative – protected life, but also wild horses and even buffalo live in the Aigüamolls in peaceful freedom. Many migratory birds use the site to rest before they cross the Pyrenees or move to the south. For tourism, the 220 ​​km of Costa Brava is an important source of income. 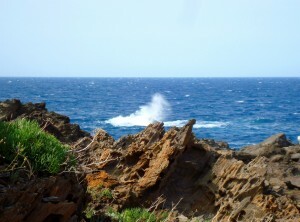 Costa Brava means “Wild Coast“. It impresses on the one hand by their varied rocky cliffs, which steeply fall into the sea, and on the other hand with its vast, beautiful sandy beaches. The Gulf of Roses is one of the best beaches in Europe. The water quality of the coast has received top marks for years in a row. In the summer there is a hive of activity here. Whoever does not appreciate this has the best chance to find these wide, sandy beaches in peaceful solitude during the off season. At the Cap de Creus the last rocks of the eastern Pyrenees dive into the Mediterranean. From here, they move up to the 430 km distant Atlantic. The fold mountains originated about 50-100 million years ago. The Greek Mythology says that the young Pyrene accompanied Hercules on his travels. When she died stones piled around her grave and formed the Pyrenees. 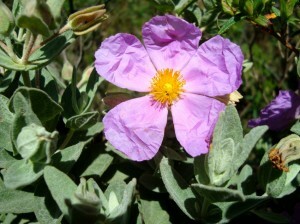 The varied landscape offers a variety of vegetation zones within short time intervals. Starting with the Mediterranean – maquis, broom, cistus and wild herbs, over pine and cork oak forests, to alpine zones with beech forests and alpine meadows, almost everything can be found here. The diverse vegetation is home to an equally diverse fauna, such as lizards, snakes, wild boar, golden eagle, rare birds, and further up in the mountains, chamois, deer, and marmots. 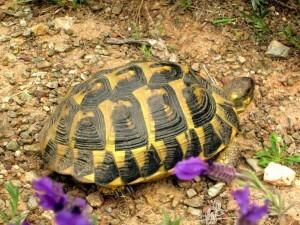 In the Albera Natural Park lives a very special population: The last wild population of the Mediterranean tortoise on the Iberian Peninsula. Throughout the history of the area we meet heirs of past cultures. The area was settled by the Greeks, Romans and Qataris. Numerous castles, churches and chapels, as well as 6000 year old menhir and dolmen from the time of the Celts are witnesses of the past. The Empordà is not only worth a trip due to its landscape and the mild Mediterranean climate. A further advantage of the varied landscape is the different agricultural cultivation opportunities. Eighty different wines, some of the top class, and excellent olive oil are major export goods that are shipped to Asia and the U.S. where they find a ready market. Rice fields, apple orchards, cherries, almonds and nectarines …: The list of local products is long and their qualities are excellent. The sea offers fresh fish and delicious seafood and – if you like it more down to earth – the wild boar and the famous Jamón Serrano, along with many spicy and mild cheeses can all be found on the menu of the old Empordà.